JPMorgan has walked back some of its previous excitement about Tesla‘s bid to go private. The bank cut its price target to $195 — 35% below its current level — after realizing no funding had actually been secured. “Such process appears much less developed than we had earlier presumed,” the bank told clients Monday. Shares of Tesla sank to a three-month low, following the price cut, but have since reversed into positive territory. JPMorgan has cut its price target for Tesla by 36% to $195 a share as questions continue to surround the electric-car maker’s bid to go private. 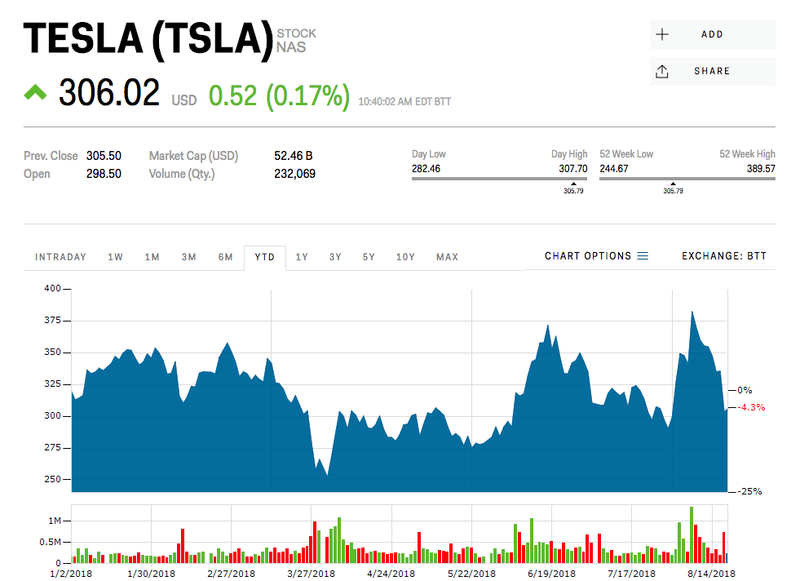 “We are reverting to valuing Tesla shares on the basis of fundamentals alone, which entails a $113 reduction in our price target back to the $195 level where it stood prior to our August 8 note in which we newly weighted 50% in our valuation analysis a go private scenario for which funding was at that time said to have been secured to take the company private at $420 per share,” analyst Ryan Brinkman wrote in a note to clients out Monday. In a blog post six days after his “funding secured” tweet, Tesla CEO Elon Musk explained that the announcement came after a meeting with Saudi Arabia’s Public Investment Fund — which is reportedly in talks with a Tesla competitor, Lucid Motors. Those talks, according to Musk, left him feeling confident the kingdom would invest even more than its current 3% to 5% stake, helping him take the company private. 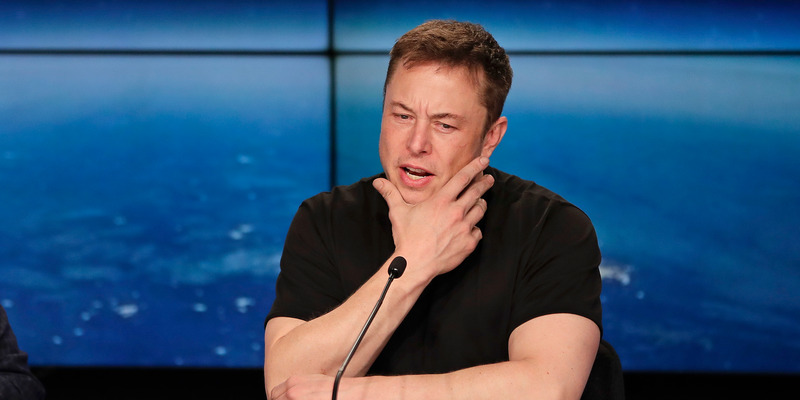 The disparities between Musk’s tweet and his explanation have sparked at least one subpoena from the Securities and Exchange Commission, the US’s top stock regulator, a handful of class-action lawsuits from investors, and doubt among sell-side analysts. “Tesla does appear to be exploring a going private transaction, but we now believe that such a process appears much less developed than we had earlier presumed,” Brinkman wrote. Tesla’s board has formed a special, three-person committee to explore the proposal to leave public stock exchanges, while the firm has tapped Goldman Sachs for banking services on the transaction. Goldman’s research analyst David Tamberrino has since suspended coverage of Tesla. “This to us suggests a going private transaction is clearly possible, which could potentially provide upside risk to the shares, but that such a process appears much less developed than we had earlier presumed,” Brinkman said. Tesla shares have plunged by more than 18% over the past week, hitting a three-month low, as the SEC’s investigation and a New York Times interview with Musk weighed on investors’ minds.